Although I believed Thailand would be totally different to the UK I was massively surprised to see Burger Kings, Starbucks, McDonalds and Boots everywhere on every street in Bangkok. The first day we had chance to explore the heat was still so new to us, the humidity was just incredible, so yes, we caved and decided to go to Starbucks to see how different it was from the UK. Yet again Thailand impressed us with how tasty everything was and the presentation. 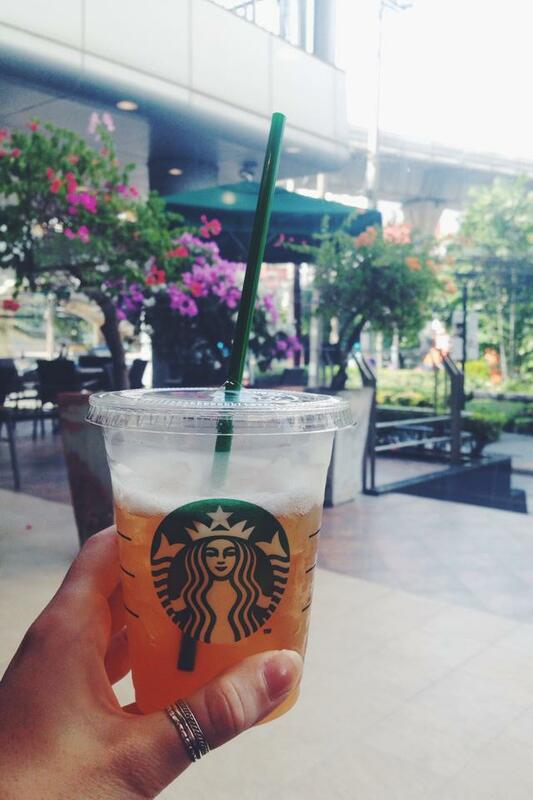 Starbucks in Thailand have different flavours so I opted for Iced Lemon Tea as it sounded refreshing (exactly what I needed in the 30 degree sun). I can safely tell you this was one of the most amazing drinks I have ever had. I'm already hoping it gets introduced in England soon. 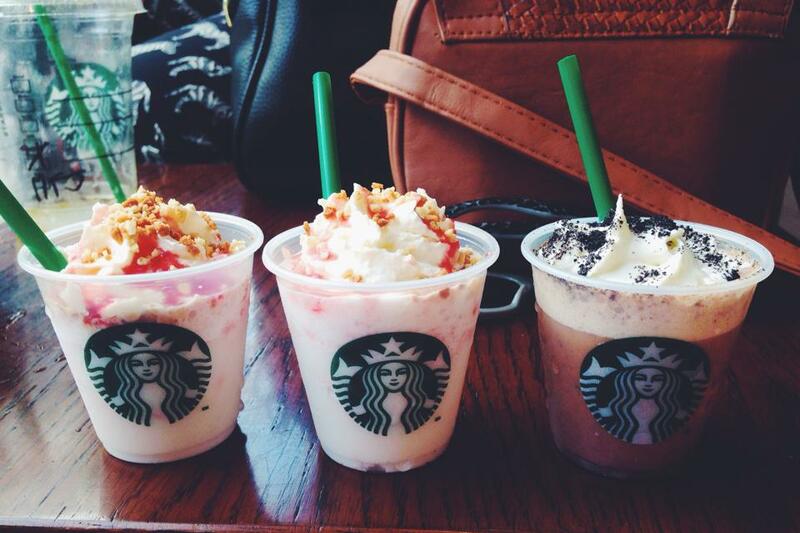 To make this experience even better a man came around giving us free mini tasters of other drinks, then cakes. Just sat in the middle of Bangkok having a Starbucks felt so surreal. It still didn't feel like we were abroad or really left the UK. But the feeling of total freedom was coming on strong and fast, a feeling I've been chasing all my life.